OSHANA Region’s crime statistics indicate that serious crimes such as robberies have slightly decreased during the past year. 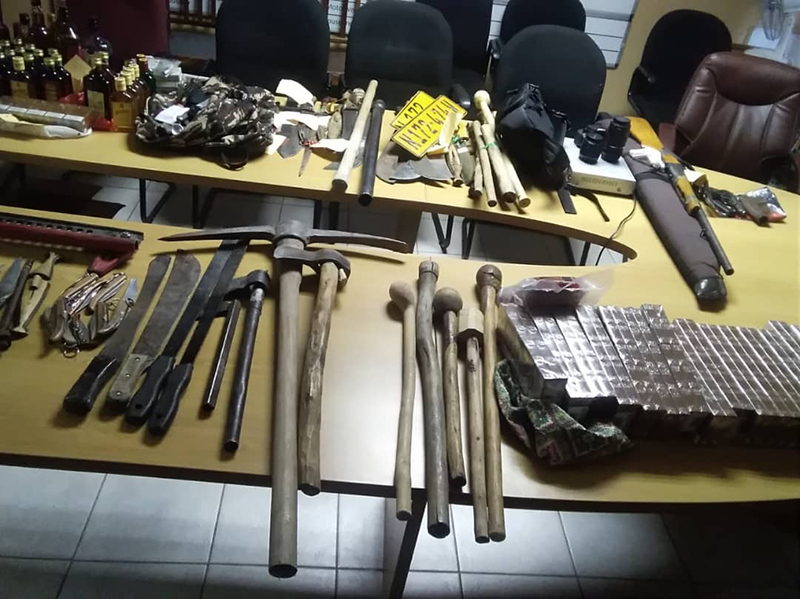 According to the regional police chief, Commissioner Rauha Amwele, the decrease in serious crime was the result of a number of proactive measures put in place by the Police administration. Commissioner Amwele said that the region has recorded a total of 200 cases of serious crime during 2018 compared to 210 cases recorded in 2017. “The success of combating crime in the region was due to the assistance of the community, who worked together with the Namibian Police Force and Namibian Defence Force,” stated Amwele. The Region embarked last year on festive season crime, an initiative that kicked off on 25 November and was concluded on 15 January. “We also joined the Operation Hornkranz aimed at minimising incidents of crime, potential loss of lives and property during this festive season,” added Amwele. The operation, which was launched in Windhoek and rolled out in all other regions, saw the Namibian Police Force, Namibia Defence Force and Namibia Correctional Service working together to combat crime throughout the festive season. During the two operations, a total of 783 traffic tickets were issued, which amounted to N$806 500, while a total 223 suspects were arrested for different cases. 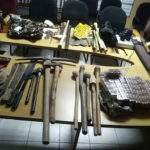 Amwele also revealed that during the operations, law enforcement agents confiscated a number of what they classified as weapons, including 20 traditional knives, 28 pangas, 35 Okapi knives, one pepper spray, one pistol, a pair of scissor, two axes, two wooden hoe handles, 12 knob kirries, one catapult, five self-made knives, seven kitchen knives, four machetes, two toy guns, two shotguns and one sharp self-made spear. She asked the community of Oshana to continue working with the police in the region in order to combat crime and ensure peace. Amwele further warned against the withdrawal and carrying of large amounts of cash to avoid becoming easy targets for criminals. She urged people to instead make use of bank cards. “Namibians should also avoid people claiming to be from Natis and other official organisations requesting for payment in order to get a driving license or to have their cases drop, as it’s never true,” she noted. Amwele applauded the Namibian Police Force, the NDF and Namibia Correctional Service for the work done during the operations, stating that there were no complaints about any illegal activities involving the men and women in uniform. Looking at the positive results of the operations, Amwele expressed her hope that the Head of State, Hage Geingob, would make these crime prevention operations a routine during holidays and long weekends.